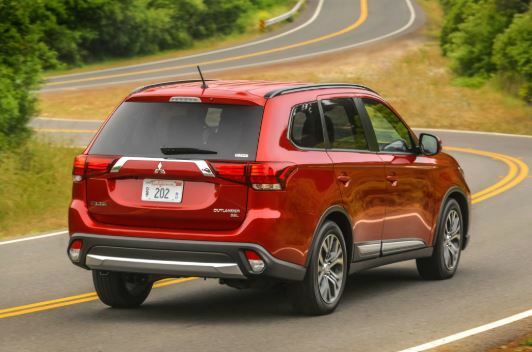 Mitsubishi Outlander 2016 is a crossover that does not need additional advertising. It is not easy to survive in the oversaturated compact SUV segment, especially with competitors such as the Honda CR-V and Nissan Rogue. Meanwhile, the Mitsubishi Outlander 2016 not only survived, but also offered a unique styling, the ability to accommodate up to seven passengers, the choice between a four or six-cylinder engine, good traction capabilities and an attractive price. Perhaps he does not have a super-powerful engine, but he is definitely one of the cheapest members of his class. In 2016, the manufacturer equipped it with a large number of standard equipment. Mitsubishi Outlander SUV is ideal for impassable trails. Off-road ability and towing capacity, which reaches 1587 kg, make it certainly attractive in the eyes of travel enthusiasts. The three-row SUV Mitsubishi Outlander is not equipped with a heavy-duty engine, and its style can not be called universal. In addition, he will not offer residual value as his competitors. In 2016, there were significant changes that affected the general styling and such aspects of the interior as noise insulation and refinement. In the same year, this SUV received a modern navigation system, an updated four-cylinder engine and a continuously variable automatic transmission. Fold second-row seats are now much easier. Light alloy wheels are standard. The new continuously variable automatic transmission literally “squeezes” every drop of power from a four-cylinder engine, which makes this combination attractive for drivers. When you hear about a car equipped with tracking systems for marking up, mitigating a possible collision and adaptive cruise control, then first of all you think of expensive brands. But Mitsubishi Outlander breaks this stereotype and offers a whole range of security tools. In 2016, the front part of the car became more aggressive, but the rear part, hinting at the external uniqueness, is unlikely to appeal to all car fans. The rectangular front end of an SUV perfectly matches the parameters of the Mitsubishi family and hints at similarities with the Lexus NX. Of course, wipers with an ice melt system that prevents the accumulation of ice and snow are an attractive new feature. Power mirrors are also new for 2016. 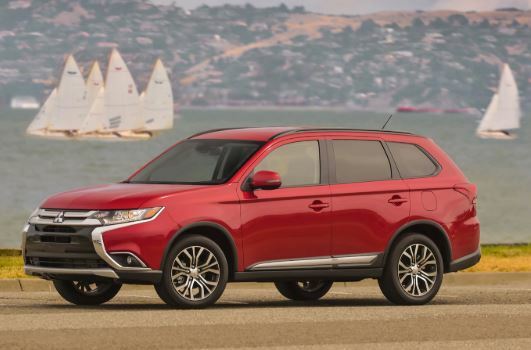 The 2016 Mitsubishi Outlander SUV is available in four models: ES, SE, SEL and GT. The basic ES model comes with automatic climate control, keyless door unlocking, AM FM CD 140 watt audio system, Bluetooth and 18-inch alloy wheels. The SE model will add to the above equipment: fog lights, side mirrors with alarm indicators, dual-zone climate control and a start button. The SEL model has a roof rail, leather seats and an electric driver’s seat, all-wheel drive, a V6 engine, a remote trunk opening system, a 9-speaker audio system, automatic headlights, electric side mirrors, windshield wipers with rain sensors and petals for mechanical shifting The gears you will find in the GT model. Among the desired optional equipment of Outlander 2016 should be noted: a warning system of a possible collision, adaptive cruise control and tracking system for marking. Fortunately, you do not have to buy an expensive GT model, since they are all available as part of the Touring package for the SEL model. This package will also offer its owner a navigation system, windshield wipers with rain sensors, ice melting system on windscreen wipers, side mirrors with electric drive, automatic headlights, a system of remote trunk opening and electric sunroof. 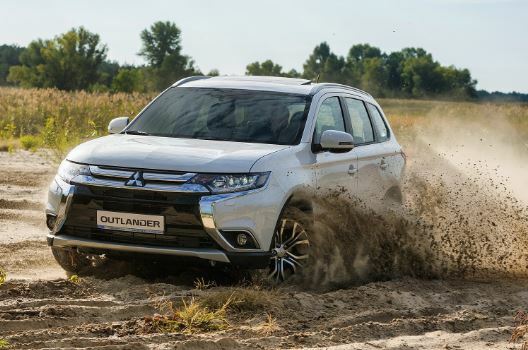 The Outlander ES, SE and SEL is powered by a 2.4-liter four-cylinder engine with 166 horsepower, which is combined with either front-wheel drive or all-wheel drive. This engine does not require premium quality fuel, and the vehicle equipped with it is capable of towing up to 680 kg. The Outlander GT comes with a 3.0-liter V6 engine at 224 horsepower and is standard with all-wheel drive. More powerful engines require premium fuel quality and will help the car to tow up to 1,587 kg. All models of this SUV are equipped with an automatic transmission, which depends on the engine. So, the stepless box is combined with the four-cylinder engine, and from V6 the six-speed automatic. Let’s be honest: Mitsubishi Outlander is not sinless in matters of driving and in matters of interior design. But its strength is in the ratio of a large universal crossover, which is not really afraid of bad roads, and the price requested for it. If you can overpay – then its, competitors are more interesting. But if you carefully consider the money and are not demanding to trifles – then Mitsubishi Outlander is clearly worth adding to the list of bidders. Americans are used to change cars every 3-5 years, although American cars have been working for decades. In the US, the market for used cars is constantly updated with interesting offers. Due to high-quality road surface in the United States, Americans used cars differ little from new ones in their technical condition, and their prices are incomparably lower. The Auction Export company will help you not only to purchase the car you like, but will also take the responsibility for delivering the car to many countries around the world, including Ghana by the way. For more information, you can write to our managers.